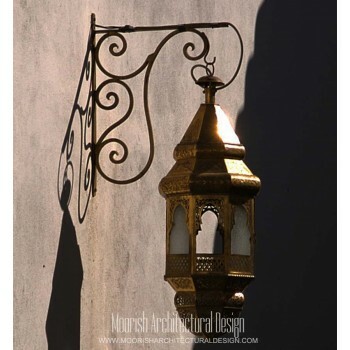 Moorish Architectural Design offers great selection of luxury handcrafted ethnic lighting for bathroom, kitchen, and porch. Flip the switch on better lighting and open your mind to a more beautiful lighting fixtures for your home. Bathroom is the place you go to freshen up. It's usually your first stop of the day. Don't you want the place that sees your morning face to be the space that wakes you up? You want it to be bright and beautiful. With the right bath lighting fixtures and accessories, you can bathe yourself in light and style every time you walk in. 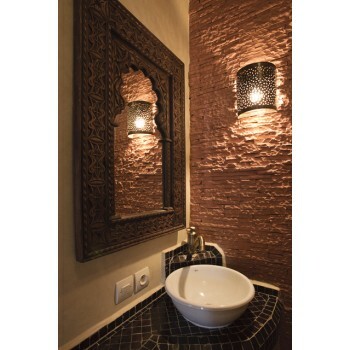 Moroccan Bathroom lighting makes a small room seem a little bigger and more grand. It adds a warm touch to a spot that might seem cold with its hard surfaces and edges. Take your bath back with bright ideas in lighting. The kitchen has become about so much more than food prep; it’s inevitably where everyone will congregate when entertaining, so it’s important that the lighting is both task-oriented as well as ambient and friendly. Avoid anything overly bright. Also, all fixtures should be dimmable so the light can be adjusted to meet specific needs. And since so many kitchens are located directly off a great room, it’s nice to be able to lower the lighting levels once the food prep is done. Moorish Architectural Design offers a wide selection of hanging pendants, lanterns, flush mounted ceiling lights that make an impact. 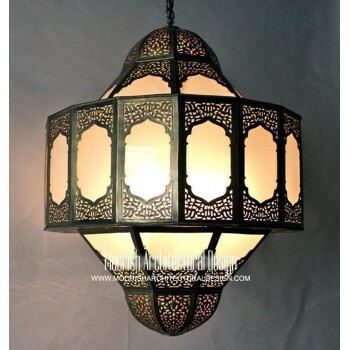 Buy quality Moroccan lighting with confidence, UL wired, Free Shipping.